Then again, we are unquestionably at a crossroads in world history – certainly monetarily; and potentially, from a far broader geopolitical sense. Empires are rising and falling, economies crumbling, and “leadership” across the board becoming more draconian. In Japan, the government is daring hyperinflation to emerge from the “deflationary” shadows; whilst in Europe, the continent’s short-lived monetary union is threatening to tear apart – perhaps, permanently. States and nations alike are threatening to secede; in many cases, as the aforementioned economic deterioration yields political extremism. Meanwhile, here in the Oblivious States of America, people continue to vote for the same bought-and-paid for Democrats and Republicans that have brought the nation to its knees. Most likely, Europe will provide at least one major economic and/or geopolitical flashpoint – as decades of socialism and 15 years of a destructive, ill-begotten monetary union are on the verge of blowing the continent apart. In Italy, the “Five Star Movement” is challenging decades of traditional leadership; as is the “We Can” party in Spain, and the ominous, neo-Nazi “Golden Dawn” party in Greece. The nation of Scotland came close to seceding from the UK last month, and Venice, Italy unanimously wants to become its own nation. 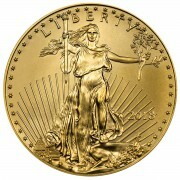 Clearly, the Cartel’s maniacal focus has been on pushing gold down – assuming the world’s most financially literate population will “take the bait” and vote “no.” However, such short–sightedness entirely ignores the more momentous issue of the simultaneous Swiss Franc plunge due to the machinations of the ECB, which by “hell or high water” intends to debase the very Euro currency the Franc is pegged to. Maintaining this insane linkage has cost the Swiss National Bank hundreds of millions of (printed) Francs; and trust us, the Swiss people are watching this relationship at least as much as the gold price. Heck, as I write Thursday morning, the ECB press conference is ongoing; during which, the Euro plunged to a new two-year low, after “whatever it takes” Draghi said, “the main message is ECB assets are set to expand as others contract” and “ABS (asset-backed security, i.e., mortgage bonds) buying is to begin shortly.” And frankly, such a statement is not only astronomically dovish; but clearly, a significantly salvo in the “final currency war” – specifically targeted at the U.S. dollar, although clearly, the Fed’s “end of QE” doesn’t involve contraction of its balance sheet; but instead, a mere cessation of overt expansion. 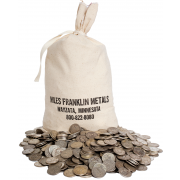 For months, culminating in October 16th‘s “Miles Franklin Silver All-Star Panel Webinar,” we have been descrying the utter insanity of the Cartel’s insistence on pushing paper PM prices this far below the cost of production, amidst an environment of record demand and the poorest production outlook in decades. The same goes for both metals, but particularly silver given razor thin inventories and likely a significant production deficit. To that end, we warned that shortages were imminent – although plunging inventories, historic backwardation, and even a major miner (First Majestic) holding back production were practically screaming of this inevitability. And thus, it shouldn’t have surprised anyone when on Friday afternoon, the U.S. Mint reported Silver Eagle sales were higher in October than all but two months in its history; in both cases in January, when sales are typically elevated due to year-end shutdowns in mid-December. Note bene, as you see below, the fourth and fifth biggest sales months were also in 2014. 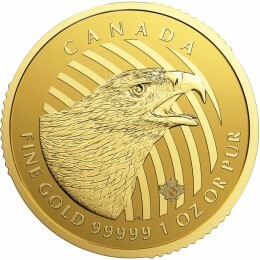 That said, October’s demand surge was nothing compared to the first 2½ days of November in which more than three million Silver Eagles were sold, before the Mint informed the public at roughly 1:00 PM EST that it was suspending sales on account of being sold out of silver. This is the third time the Mint has officially sold out in five years; and the fifth time when, though not officially sold out, rationing became so extreme that premiums and delivery times surged. 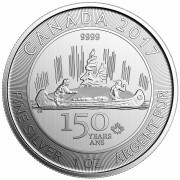 FYI, the Royal Canadian Mint – which only discloses sales figures quarterly (with a two-month lag), has been rationing silver since September; and naturally, silver Eagles, Maples, and “junk” premiums and delivery times have risen anew. Amazingly, demonstrating just how “hubristic” TPTB have become, the Cartel actually attacked just as this wildly bullish announcement emerged, pushing silver prices down a whopping 2% in the day’s final hours, whilst not a single other market (other than mining stocks, which were bombed) significantly moved. Sitting with my savings in physical metal, I could not be more comfortable – as clearly, the “chinks” in the suppression scheme’s armor are becoming gaping holes. As we have discussed ad nauseum, the “system” comprehensively broke in 2008; and since then, whatever economic data that’s even true demonstrates a horribly distorted reality of labor hoarding and secular shifts dominated by part-time work (that doesn’t qualify for unemployment benefits); exploding “other” entitlements (that substitute for unemployment benefits); and of course, the handful of “hold-outs” that still believe the mythical “recovery” – that has yet, has decidedly NOT shown itself – is right around the corner. Already, even most “island of lies” data is rolling over; and as for the “core” of the American economy – retail; it has, for all intents and purposes, not been this bad since the bottom in 2008. My trips to a nearly deserted Best Buy last weekend – which used to be jam packed – spoke volumes as to the true state of the economy, and the direction even massively distorted “jobless claims” data must ultimately trend. Well, there you have it. The silver shortages we essentially guaranteed are here, amidst the most bullish supply and demand fundamentals of our lifetimes and then some. Given the issues discussed above and countless others, the odds of a “Cartel-ending” event – or events – have never been higher. And when it – or they – occur the “penalty” for not having anticipated them will never be steeper. These thieves don’t even bother to put on masks or gloves !!! This world financial-economic scenario is actually quite easy to understand, if one first comprehends the core objective of the purported ‘monetary’ scheme. Banknote currency is ‘monetized’ future Labor, borrowed from a country’s ‘Treasury’. The physical banknote stamps and ‘book entry’ accountings are documentary evidence that the Labor transpired. For the ‘privilege’ of being allowed to borrow this Labor of a country’s People, governments levy tax and their agent-banks attach interest for ‘approving’ and ‘managing’ the boondoggle. By ‘allowing’ and facilitating this scam, governments take effective control of all future Labor of their constituent Peoples … in a word enslave them. The original metallic monetary scheme carried out on copper, silver and gold coin, yields independence for each strata in society. The humble have copper and silver. The enterprising have silver and gold … and the ‘wealthy’ depend principally on gold and other high-value assets (palladium, platinum, gemstones, etc). Thus, because each metal stood in competition against the other, they remained in constant average value ratios. So, the self-styled ‘elites’ began by denigrating copper, then silver, then gold … to practically enslave all mankind, removing everyone’s Liberty to act independent of their ‘grand plans’. As long as Peoples of the world acquiesce to the banknote scheme, or any other virtual currency, they ‘volunteer’ their future Labor and thereby enter slavery … which they then have no right to protest. Once again, well investigated and well articulated. Congratulations. I’ve long quit wondering when the monkey business would end and try hard to simply realized that since this is a rigged game, we’ll when it’s ending when the shorts go long. That said, since that hasn’t happened yet, I guess the only other way I see this ending is if someone with truely deep pockets (russia or china) take the other sidde of the cartel’s massive short side then stand for delivery. I’m only speculating at this point but I’d say that won’t happen only because if it did, the resulting imbarrasment and explosion in metals prices would start a shooting war, somehting our leadership doesn’t seem to try to avoid. So, I guess barring Armageddon, we simply watch the COT report and wait? PS_ I was on the M/F website requesting a price on silver maples yesterday, have yet to receive a reply. What’s up with that? You guys busy or something? Thanks again. Thanks Jim, and YES, we are busy. I will send you an email, and make sure you are serviced ASAP. As for COT, it is just one piece of the puzzle. The shortages will expand worldwide, and who knows what the “silver flashpoint” (http://www.youtube.com/watch?v=T1TiVXcNE9s) will be? You and Bill Holter are really on the cutting edge of modern economic thought. I visit several sites daily but always this one first. Thanks for the hard work you put into your writing. I’m about ready to add to my stack of silver eagles. Does MF have any left to sell? I believe we had some as of yesterday. I’ll send you an email with info.